On Sept 29 (4PM – 6PM), Isabelle will be conducting a Today@Apple Photo Lab session with the public and towards the end of her session, she’ll share about the Purple Parade. 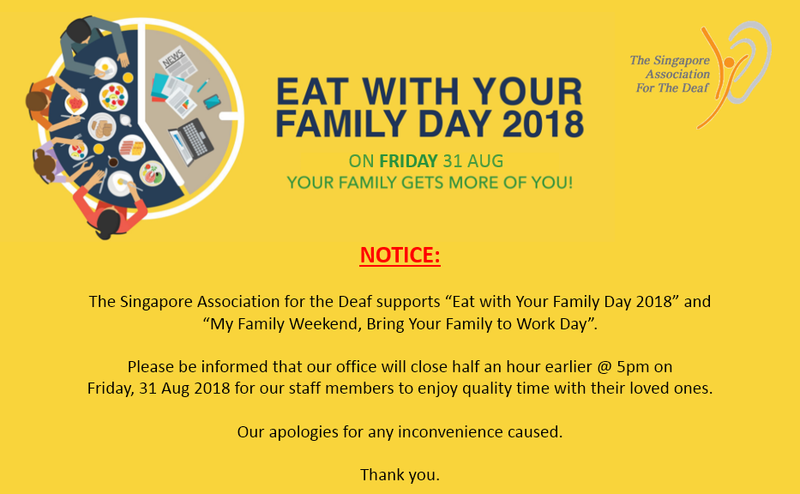 The Singapore Association for the Deaf supports “Eat with Your Family 2018” and “My Family Weekend, Bring Your Family to Work Day”. 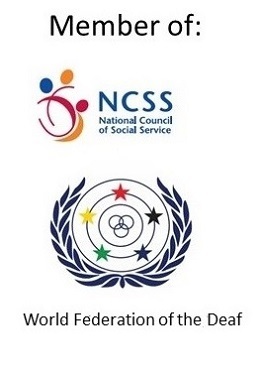 SADeaf is pleased to invite you to tender for IWD2018 event set up. 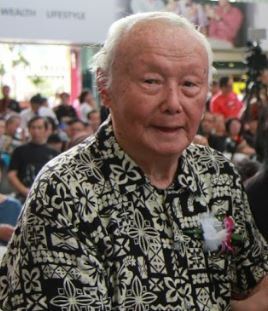 A link to SADeaf’s YouTube will be provided via SADeaf’s Faceback 2 hours prior to the commencement of the Prime Minister’s National Day broadcast which is scheduled at 6.45pm on 19 August 2018. 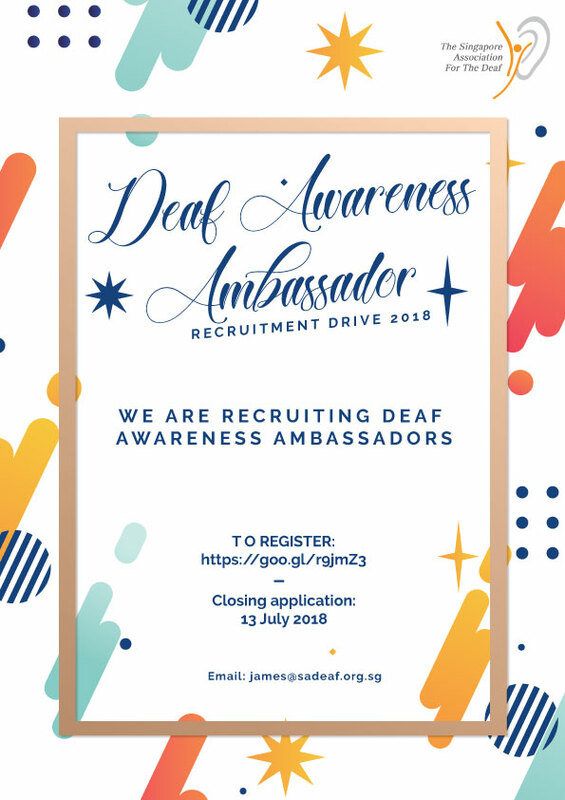 For enquiries, please email James at james@sadeaf.org.sg or SMS him at 9688 5073. 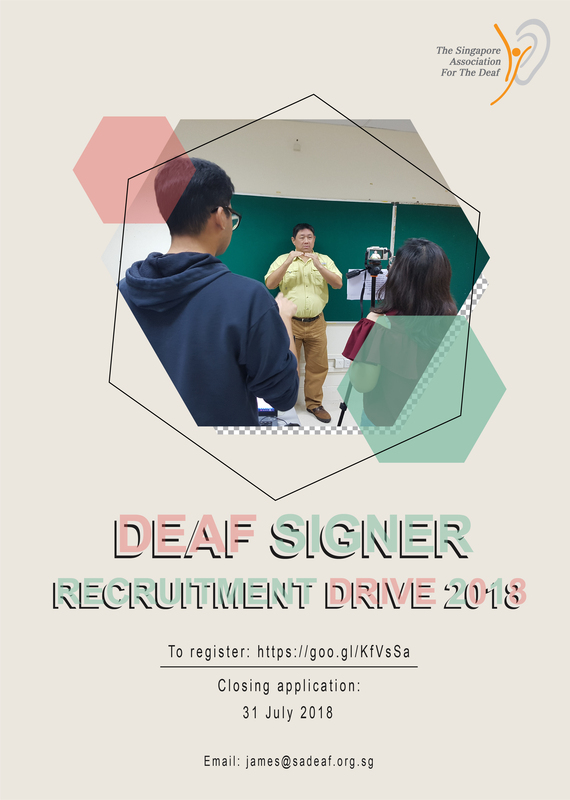 Notice is hereby given that the 63rd Annual General Meeting of the Singapore Association for the Deaf will be held on Saturday, 22nd September 2018 at 3.00pm at the Multi-Purpose Hall of the Singapore Association for the Deaf, 227 Mountbatten Road, Singapore 397998. 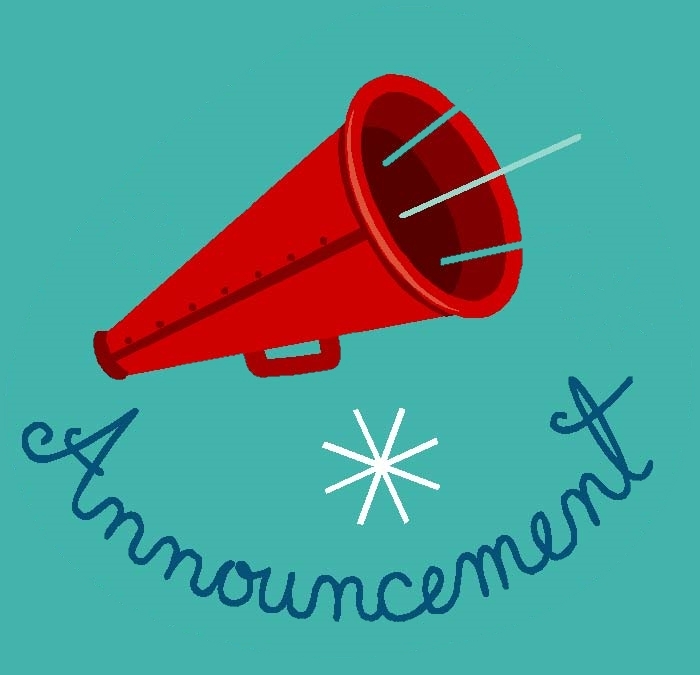 Members may submit in writing to the Honorary Secretary, not later than Friday, 10th August 2018, any resolutions, motions for amendment of rules and any other matters to be included in the Agenda. 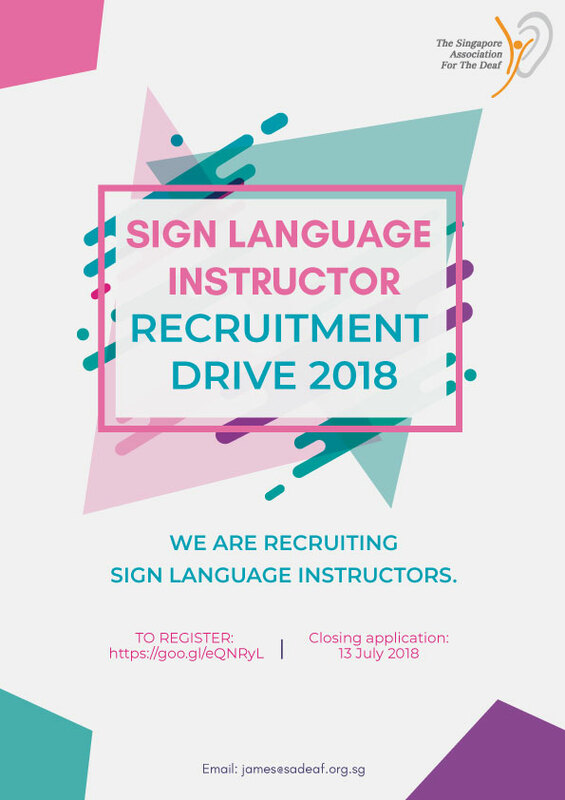 Submissions must be made either by hand or by post to the Honorary Secretary at the registered address of the Singapore Association for the Deaf. Any submissions by email or fax will not be accepted. 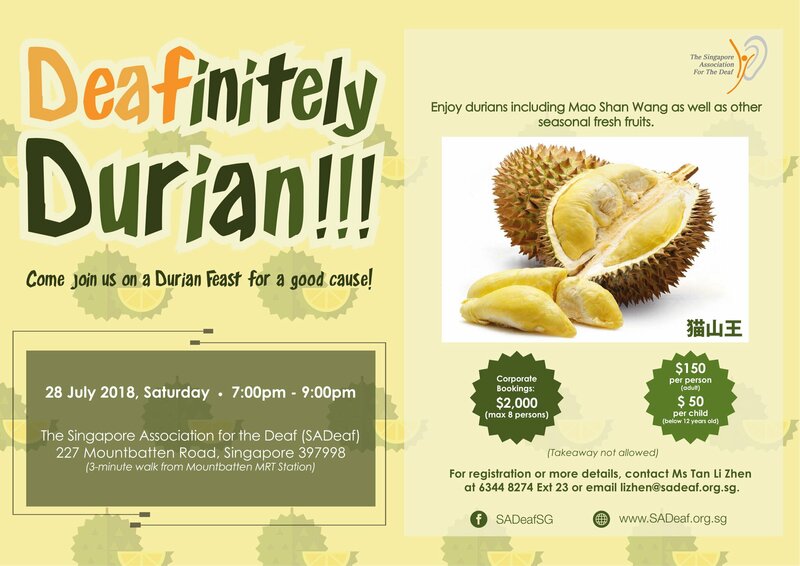 For enquiries, please email Mr James Ong at james@sadeaf.org.sg or SMS him at 9688 5073. SADeaf is pleased to invite you to tender for Review of Corporate Governance and Provision of Internal Audit Services.